Pentel fude touch pen in blue and blue pencil. More doodles from watching Boardwalk Empire again. I forget to upload these after posting them to Instagram, I hate WordPress’s app. These are test runs of mixing coloured ink with coloured pencil. You’ll notice the blush gets softer with each face, which is progress. 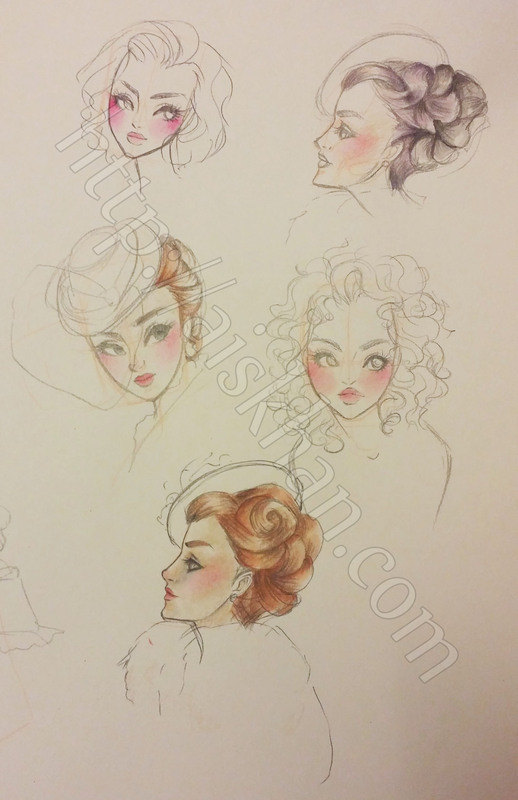 These are very 1870s Victorian ladies minus the top left, and middle right faces. I want to turn these into some holiday card/prints. 0.5 mm Black Ballpoint, 0.5 mm Pencil, Coloured pencils, Kuretake Brush pens.